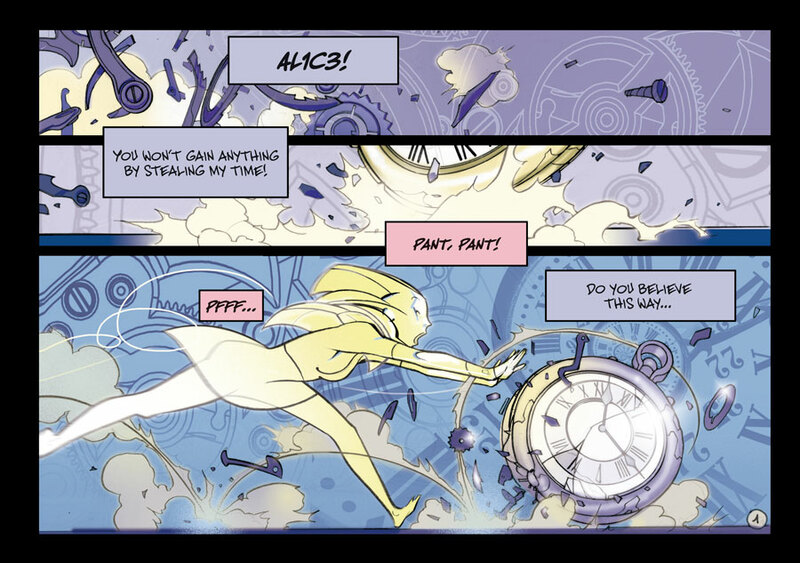 ALICE is a story to have fun with, not only as a reading but also as a watching experience. 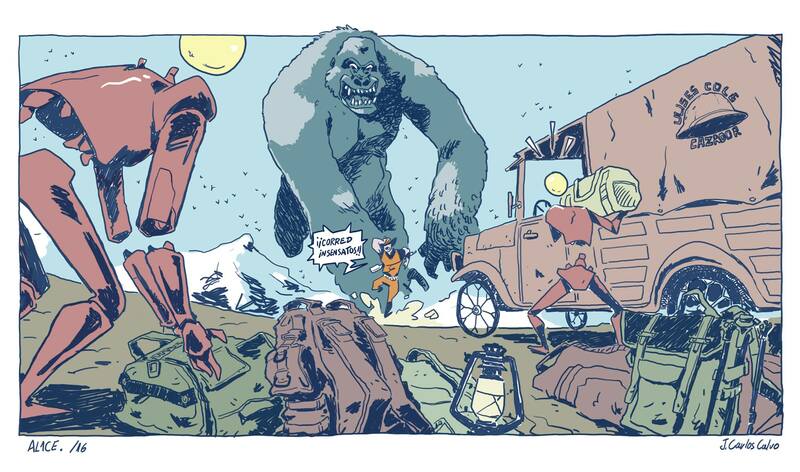 It’s comic book packed with adventures and mysteries, plot twists, monsters, exotic jungles, as well as parallel universes, quantum physics, robots and love. Yes, love, because it moves everything around, including in this story (and probably in all stories). 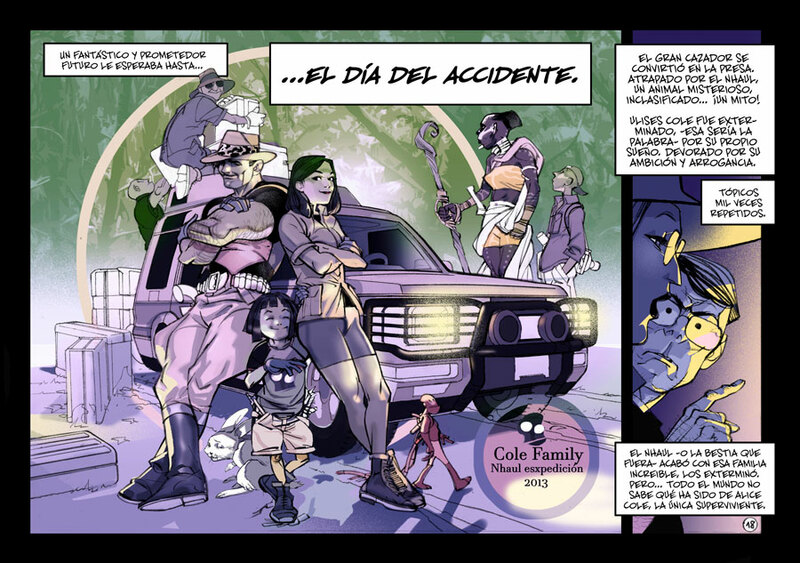 The comic book tells the story of the Cole Family, broken apart by a mysterious accident, who strive and fight to stick together again against all odds. 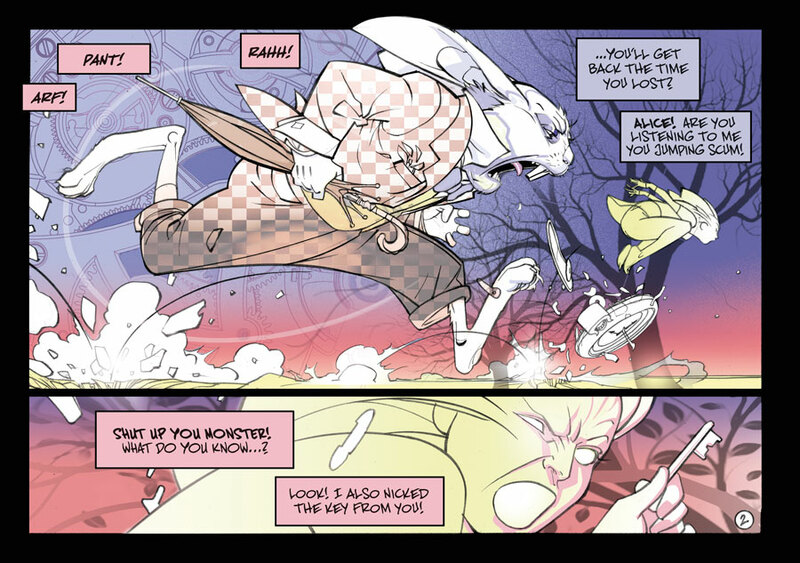 It isn’t meant to update or reboot Lewis Carroll’s Alice in Wonderland, even though it features characters and settings from the original tale. Why? 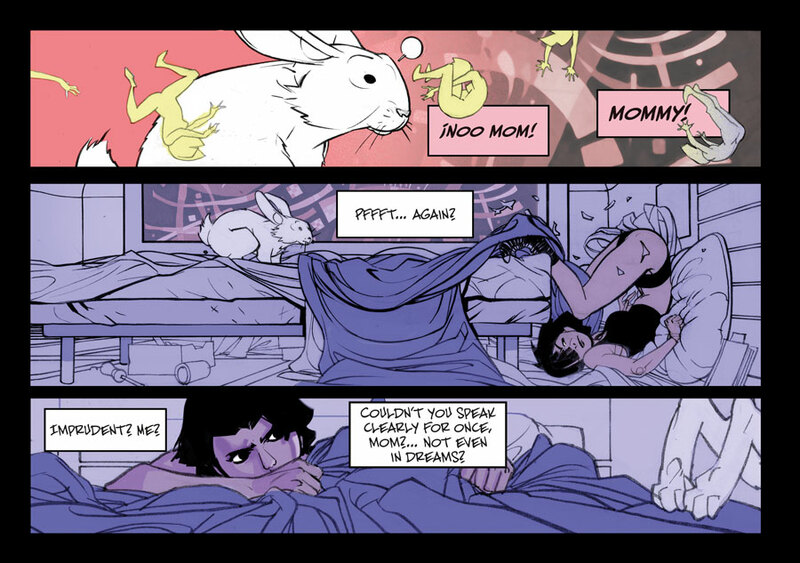 Because that’s how Alice’s mother, Anna, communicates with her daughter. 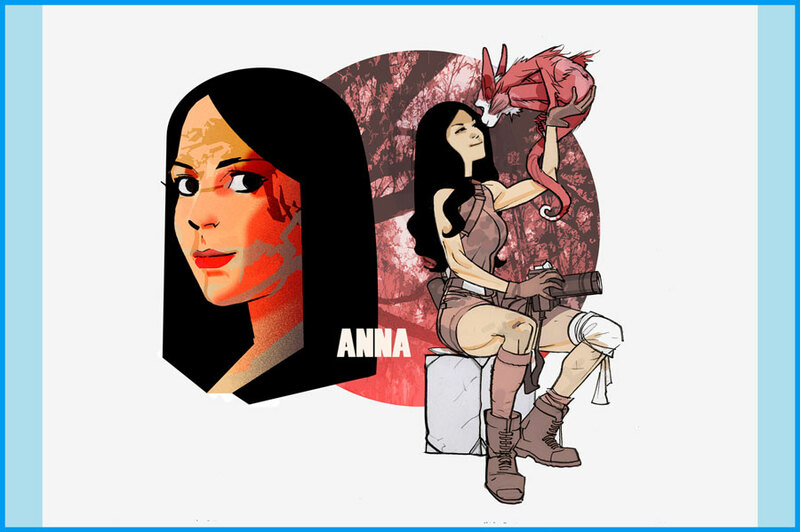 She tells her stories using fictional characters from books: the March Hare, the Mad Hatter, the White Rabbit, and the Cheshire Cat above all else, who is deeply related to the subconscious of Alice. 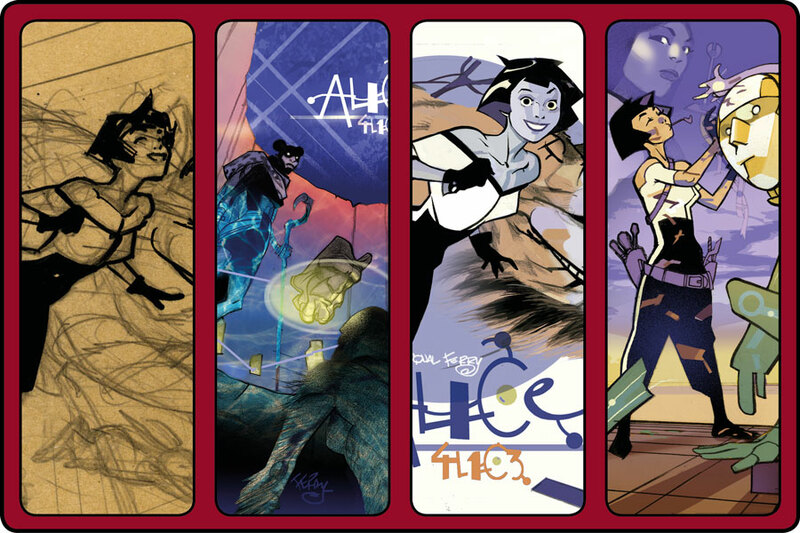 The complete ALICE comic in pencils. 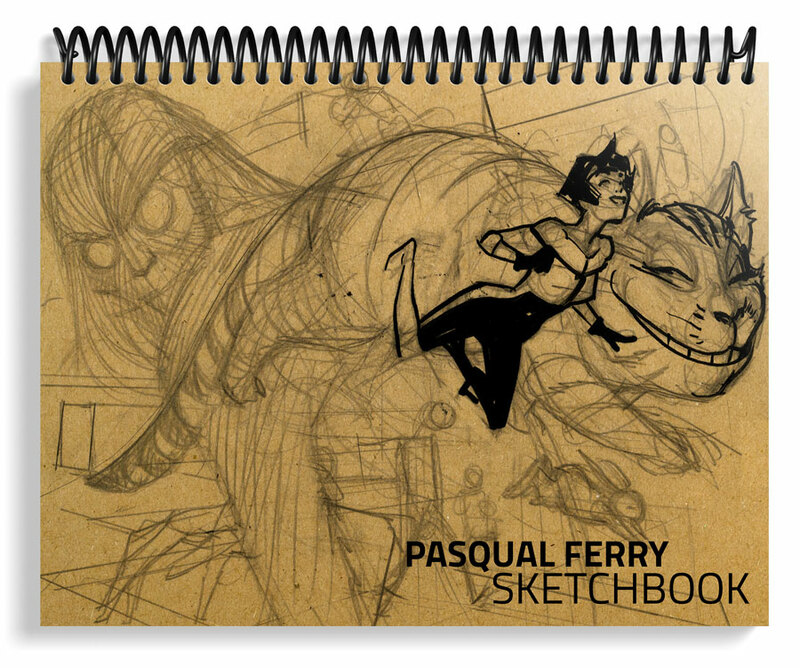 *This edition does not contain dialogue in the comic, just pencil work and Pasqual Ferry's annotations. 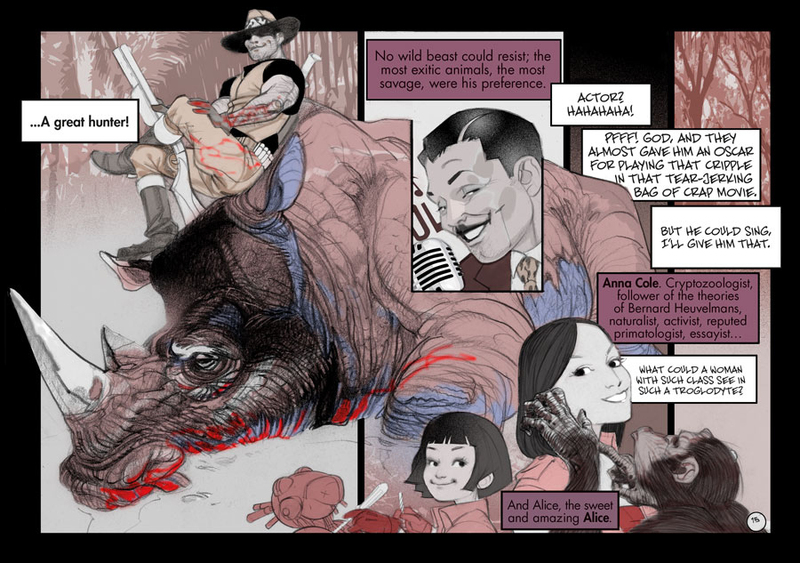 The complete ALICE comic in inks. 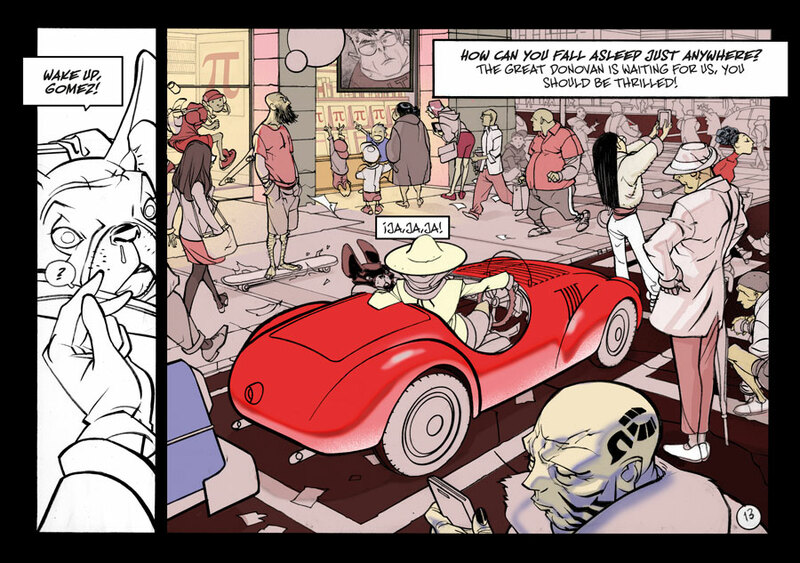 *This edition does not contain dialogue in the comic, just ink work. Original drawing of a character of ALICE on the front flyleaf. 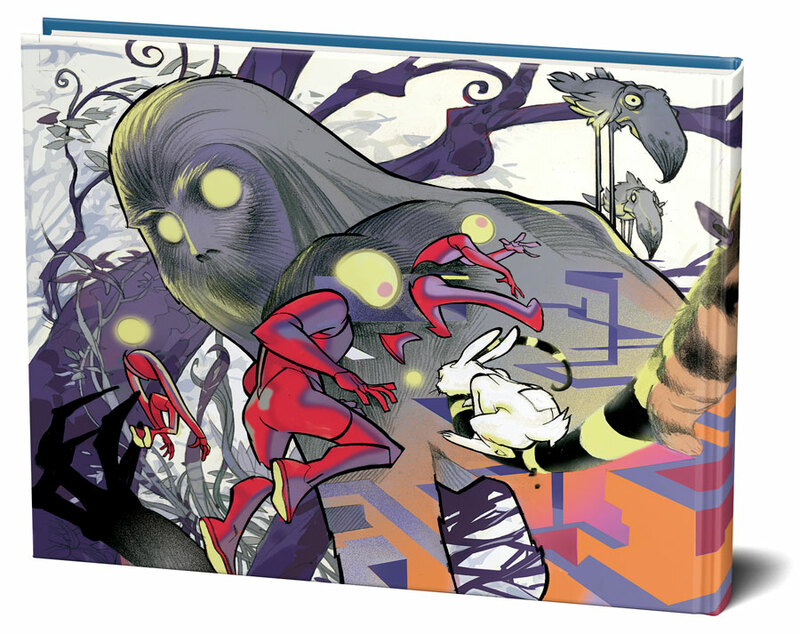 -Limited copies, numbered and certificated by Spaceman Project. * This edition includes special packaging, and it’s dispatched in a separate parcel. ** This reward won’t be available in bookstores. * Option designed to include several individual rewards in one parcel to economise delivery costs. ** Not available in language selection. 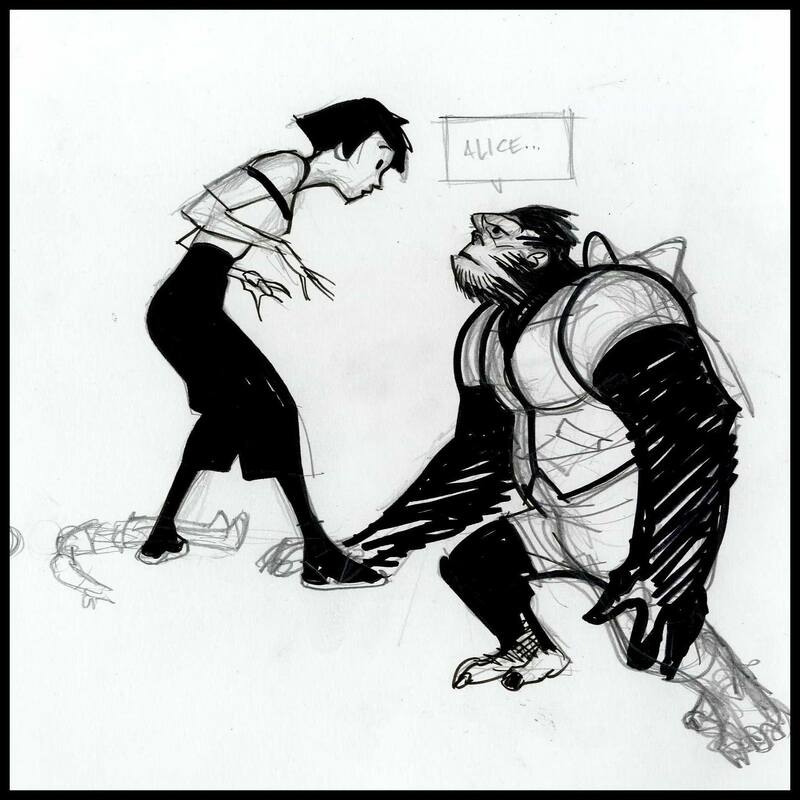 Sketchbook (doodles) and Making of (ALICE comic in pencils) are exclusive artistic work with no text on them. ** Language option only will apply for Comic Hardcover. 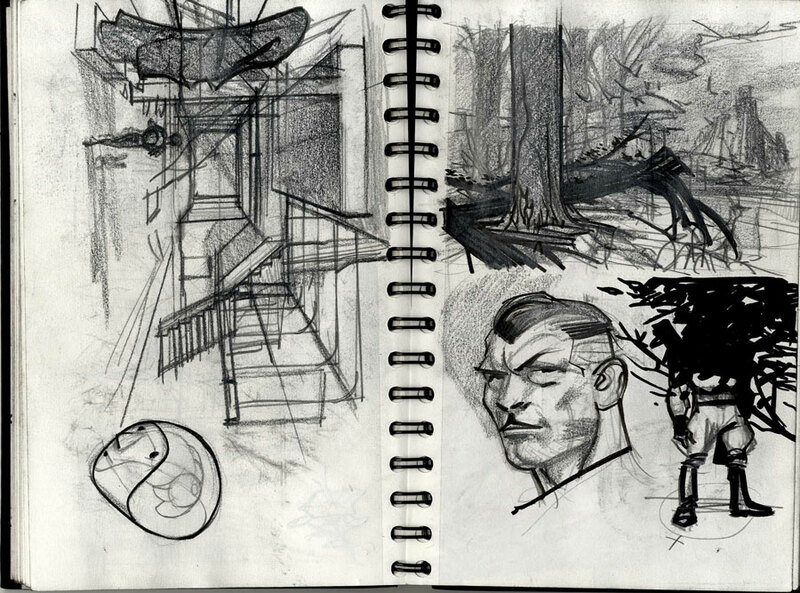 Sketchbook (doodles) is exclusive artistic work with no text on them. ** Not available in language selection. 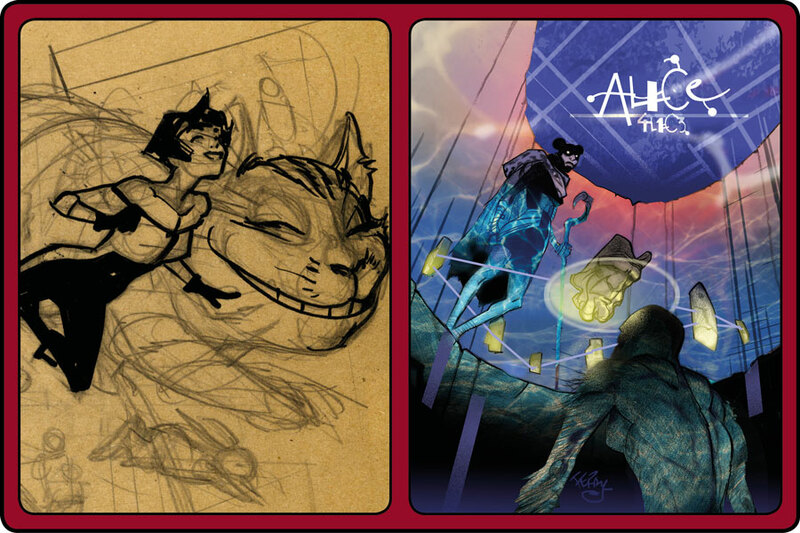 Sketchbook (doodles) and Artist Edition (ALICE comic in inks) are exclusive artistic work with no text on them. ** Language option only will apply for Comic Hardcover. 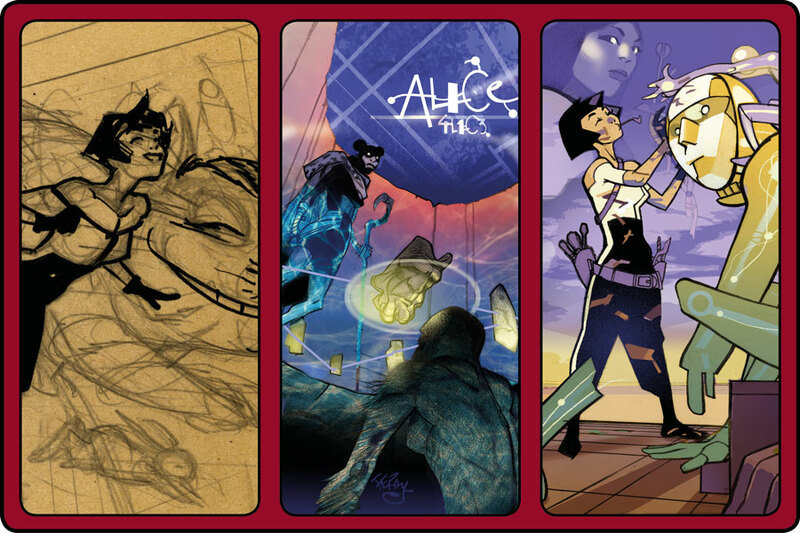 Making of (ALICE comic in pencils) is exclusive artistic work with no text on them. ** Not available in language selection. 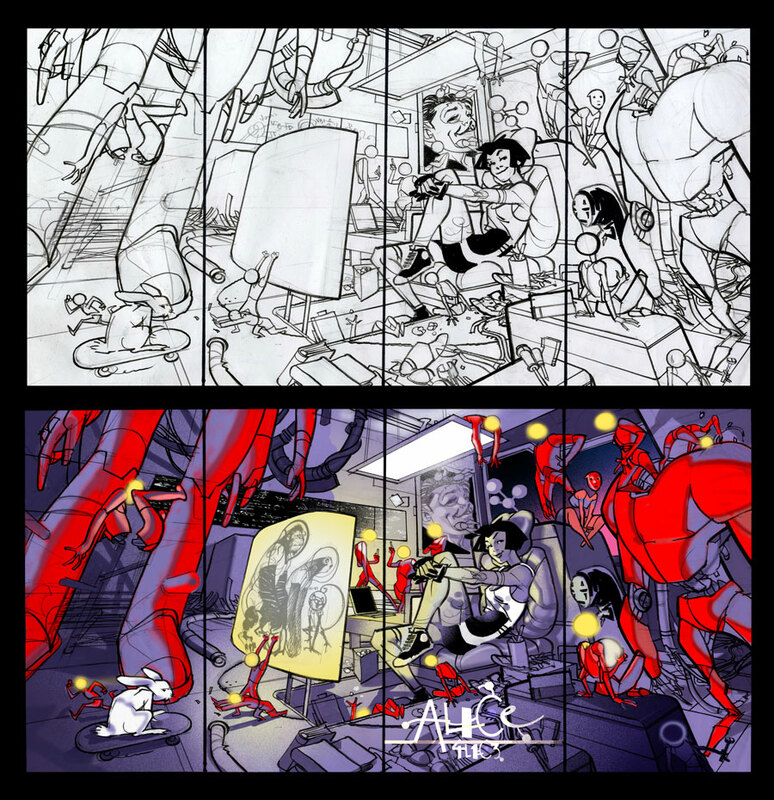 Making of (ALICE comic in pencils) and Artist Edition (ALICE comic in inks) are exclusive artistic work with no text on them. ** Language option only will apply for Comic Hardcover. 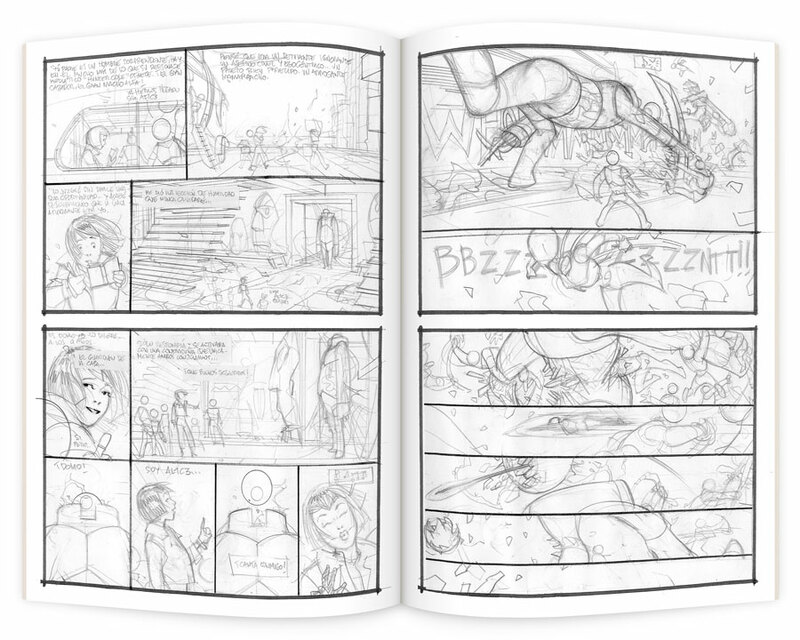 Sketchbook (doodles) and Making of (ALICE comic in pencils) are exclusive artistic work with no text on them. ** Not available in language selection. 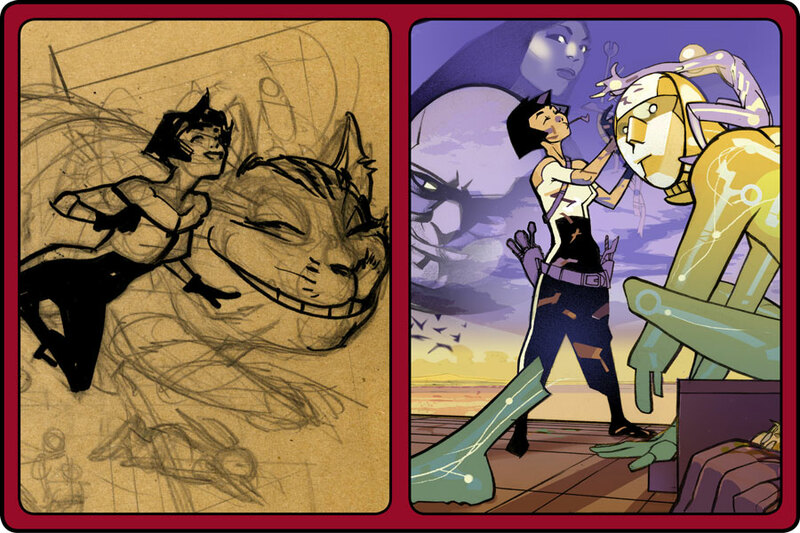 Sketchbook (doodles), Making of (ALICE comic in pencils) and Artist Edition (ALICE comic in inks) are exclusive artistic work with no text on them. ** Language option only will apply for Comic Hardcover. 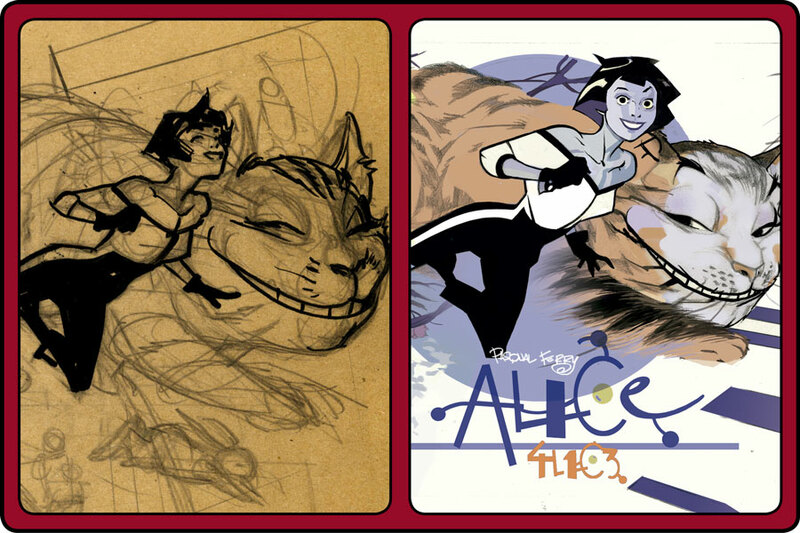 Sketchbook (doodles) and Artist Edition (ALICE comic in inks) are exclusive artistic work with no text on them. ** Language option only will apply for Comic Hardcover. 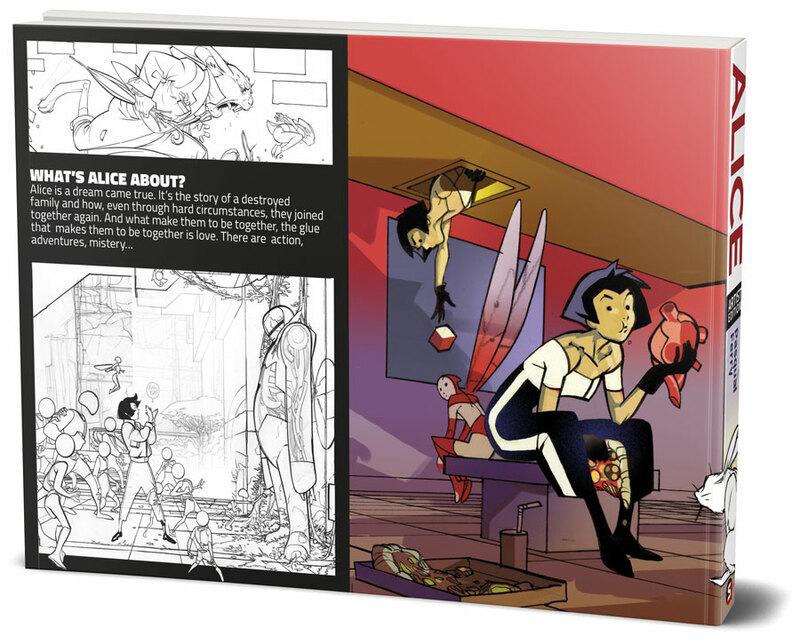 Sketchbook (doodles), Making of (ALICE comic in pencils) and Artist Edition (ALICE comic in inks) are exclusive artistic work with no text on them. 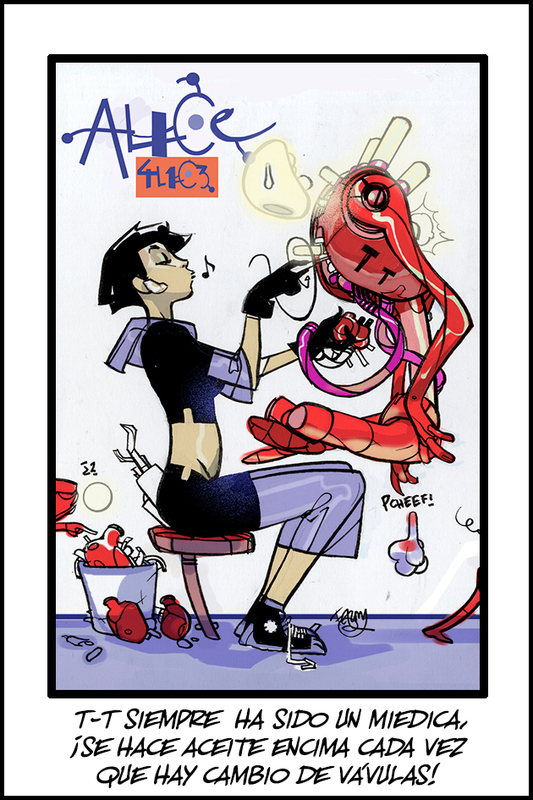 Hi, my name is Pasqual Ferry. Maybe some of you know me already. Those who don’t, look me up, I’m easy to find. I want to tell you about “Alice”. My Alice. For many years I used work on MY OWN stories and I never managed to finished them. My work in the US absorbed most of my time, ALL of my time, really. 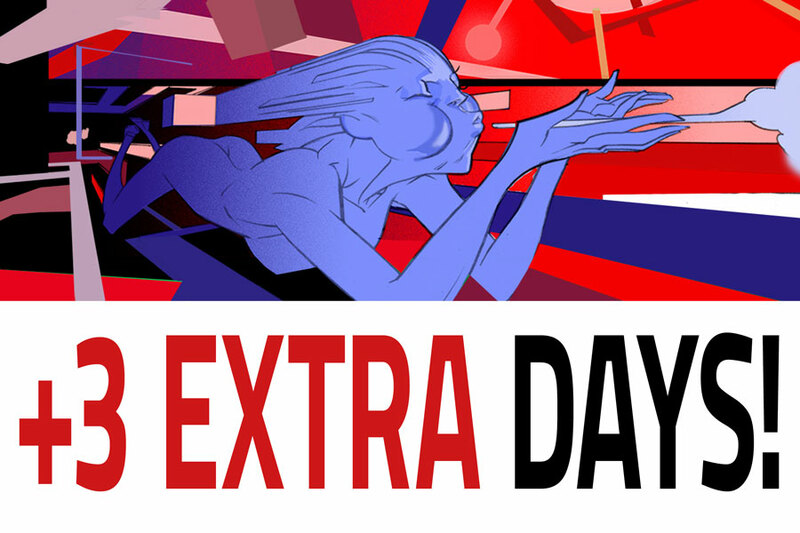 Now, after a break in my american production, I’ve finally decided to finish one of those stories. TO ACTUALLY FINISH IT. FIN, KONIEK, ENDE. 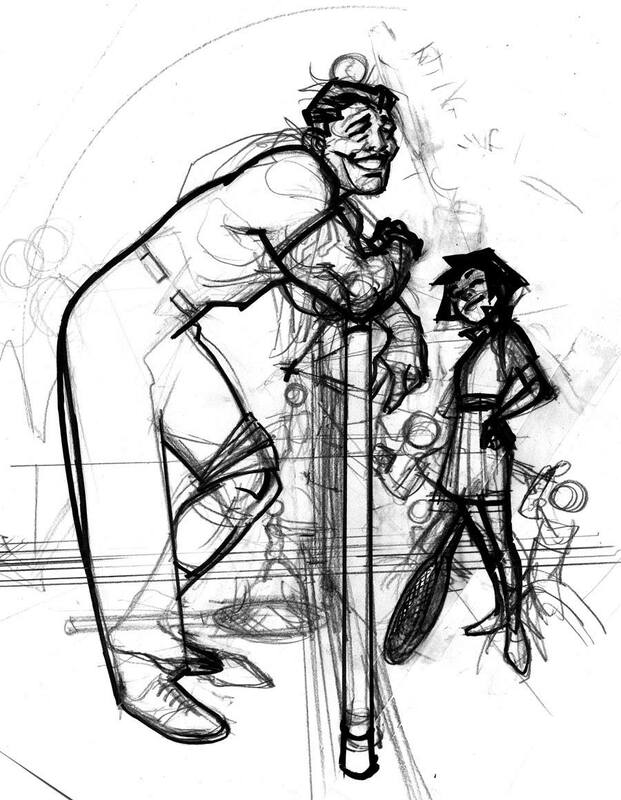 Out of the big pile of those unfinished tales “Alice” is the one that amuses me the most, the one I want to draw and write more eagerly today. 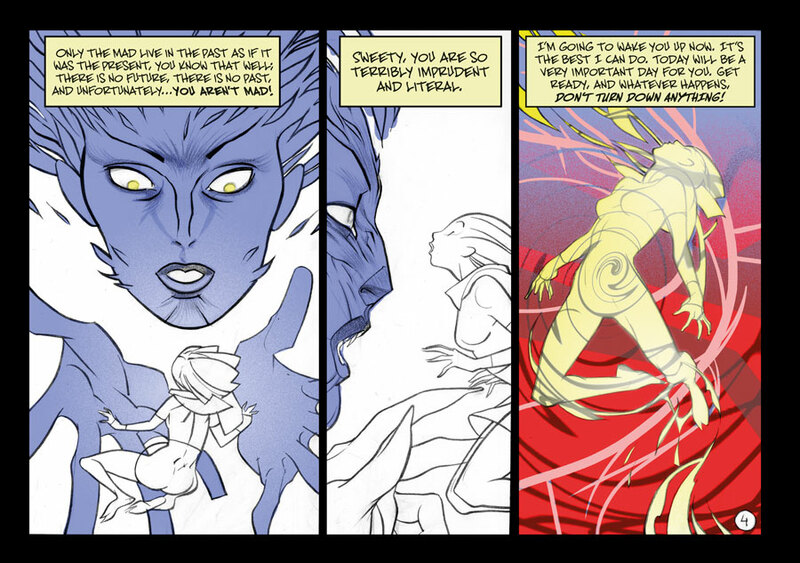 It’s a story to enjoy, not only to read, but to watch… it’s a comic packed with adventure, mystery, plot twists, monsters and exotic jungles, filled with parallel worlds, quantum physics, robots… and love. Yes, love. Because after all, love moves everything, also in this story (in every story, really). 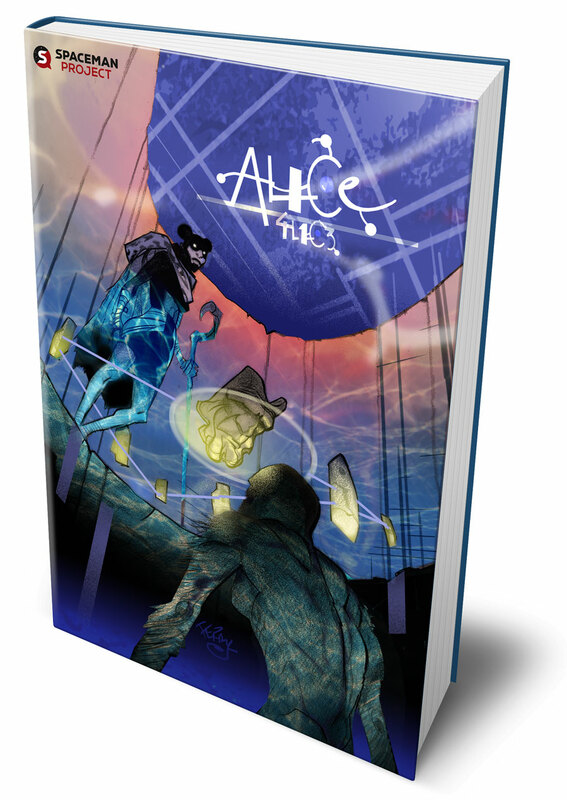 Alice is a tale about a family torn apart by a mysterious accident, and how, even AGAINST ALL ODDS, they fight to get back together. 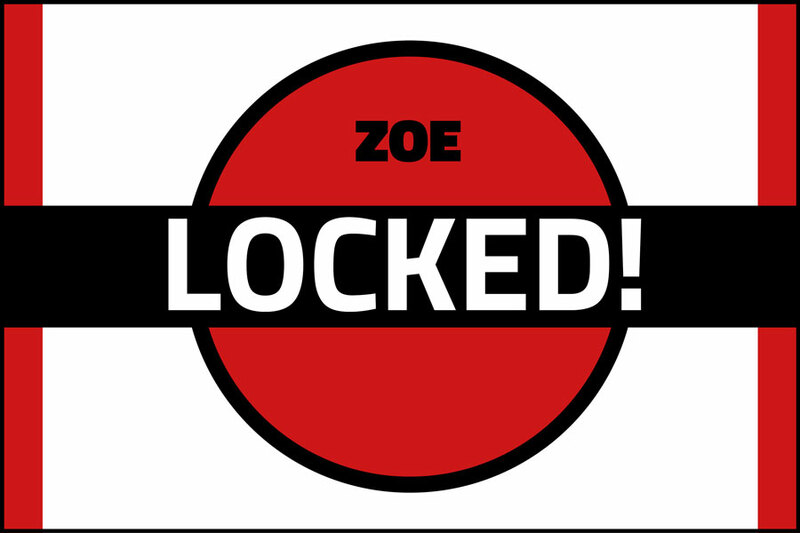 It doesn't intend to become a new version or reboot of Lewis Carrol’s ALICE, but nevertheless it includes some of its characters and settings. Why? Because that’s the way Alice’s mother, Anna, communicates with her. 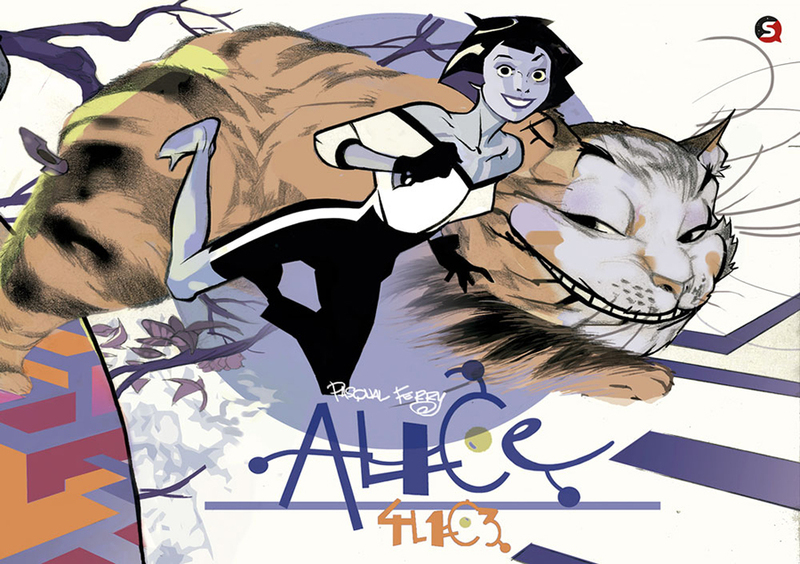 She tells her stories starring characters from the books: the March Hare, the Mad Hatter, the White Rabbit, and specially the Cheshire Cat, deeply related to the subconscious of the Alice of my story. They all appear in Alice’s dreams, not in reality. It all sounds kind of weird, doesn’t it? So, this is it. 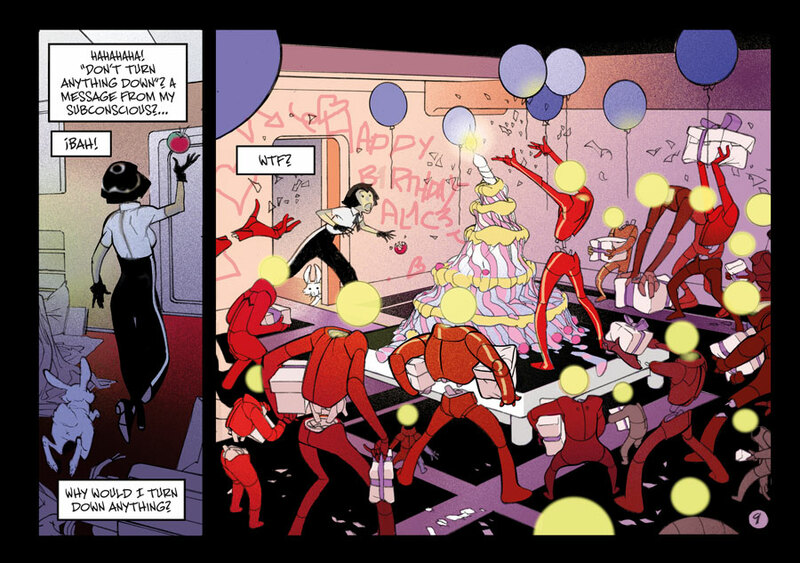 I’m back to enjoying not just the drawing part, as that’s something I’ve done while drawing superheroes all this years, but also the overwhelming pleasure of creating a story and being witness of its birth. What can I say. At this stage of my life and my career, this feels like such a gift. A priceless, unique moment. I hope you enjoy the result of this work as much as I am enjoying the adventure of making it happen. 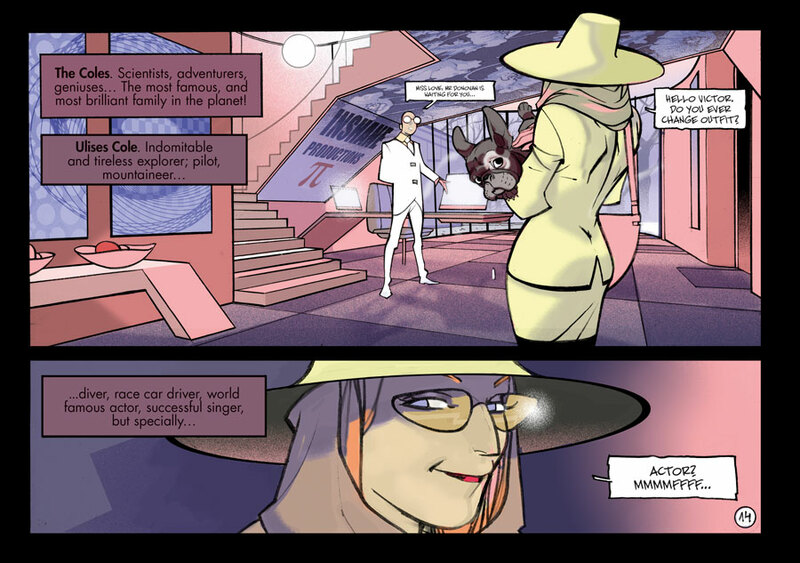 We know what a job well done entails and both the author and Spaceman Project are prepared. We love this medium and want to take it to another level where readers, authors, editors and booksellers are the protagonists. Therefore, we have taken small details into account and set a goal of raising an amount in keeping with what we offer. A maximum period of 15 months (after the campaign ended) is anticipated for the development of this work. 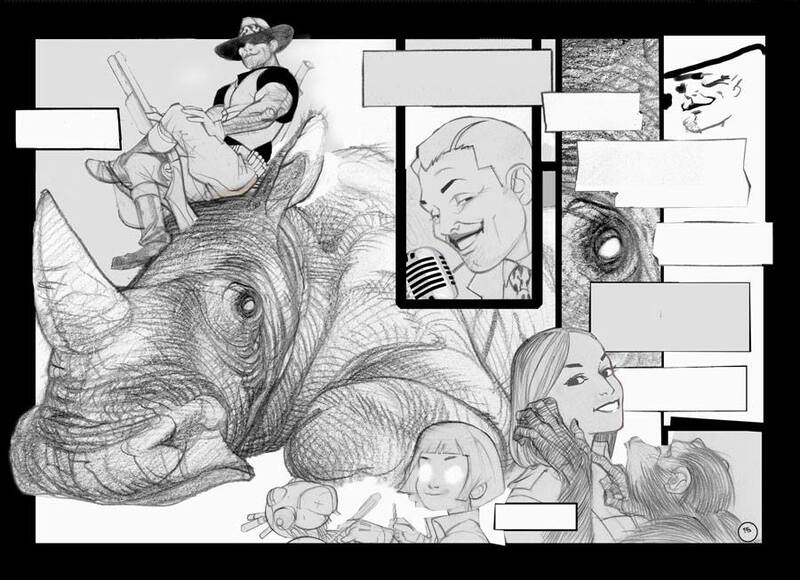 Finally, but no less important, all the illustrations presented in this campaign are provisional and are subject to modifications once the goal is reached and the work begins to be created. 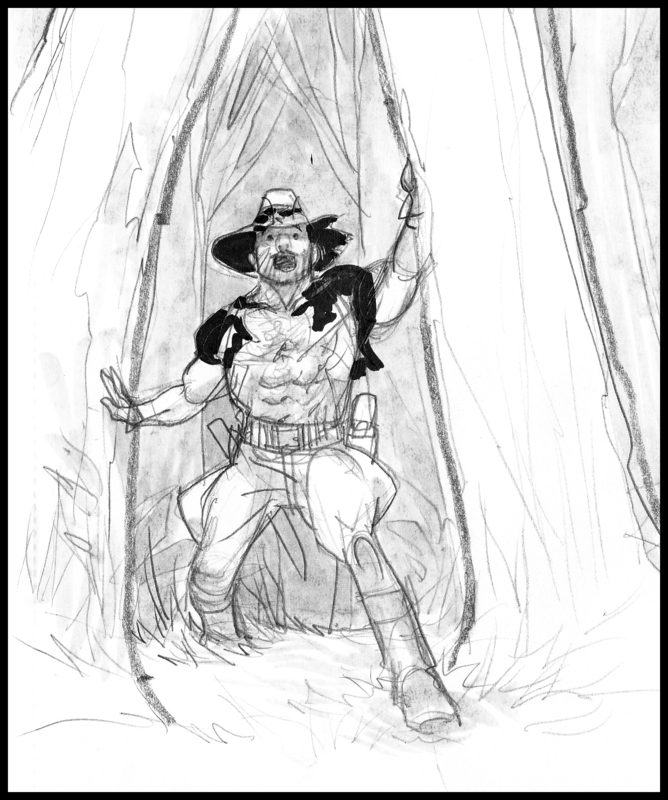 This will mainly only affect cover images, never the story and format of the work and the type of reward offered. Naturally, we are presenting a live project to be developed. Creativity has no limits and we are convinced that we should not stop improving, which is why we have a commitment to quality with our readers. "2018 fue un año intenso. El plan era terminar Al1c3 hacia el mes de Marzo. Con la mitad del libro en proceso y la otra mitad pendiente, todo era un reto fascinante. Con la historia y su final ya atado, me esperaban unos meses apasionantes. Pero los planes suelen cambiar, a menudo fracasan, y en contadas ocasiones se concretan tal como los preparamos. Obviamente los míos respecto a Al1c3 (y otras muchas cosas) cambiaron, y de forma drástica. Problemas de salud; varios comas diabéticos, con sus consiguientes semanas de recuperación, el último el 31 de diciembre . Problemas familiares, el avance imparable de la enfermedad de mi padre que culminó el mismo día que me ingresaban el día 31, con su muerte en Menorca la noche de fin de año. Por todas estas circunstancias, y algunas más que ahorro comentar, Al1c3 se ha ido retrasando a lo largo del año, hasta el punto en el que estamos, sin nuevas entregas desde el mes de septiembre. Ya estoy casi recuperado, los asuntos familiares en orden. Mi salud controlada, el horizonte despejado, con la ilusión y pasión por el proyecto intacta. Desestimé trabajos en América para centrarme exclusivamente en su conclusión, este año saldrá Al1c3. Deseo que la espera os valga la pena y agradezco enormemente vuestra paciencia y apoyo. 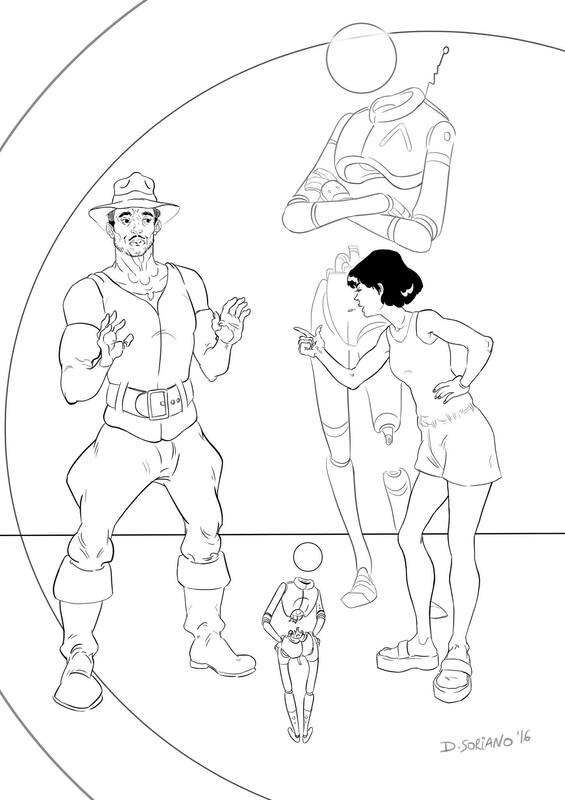 En mayo tendré terminado el libro y enviaré a Spaceman Project los materiales para que pueda iniciar su labor editorial. Os iremos informando de los avances. Actualmente el proyecto sufre un año de demora en la creación. 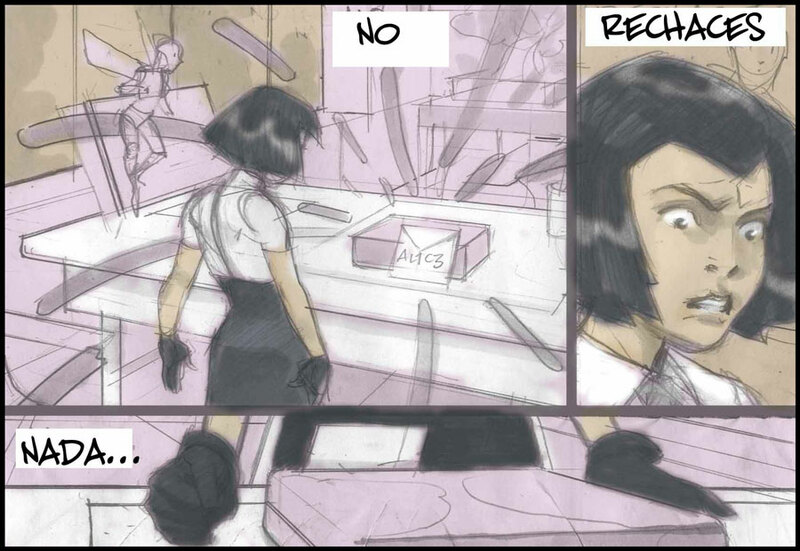 Desde Spaceman Project damos todo el apoyo al autor y realmente creemos que necesita por nuestra parte este último aplazamiento, con lo que esperamos que pueda finalizar la creación de ALICE para que este año se convierta finalmente en realidad. En nombre del autor lamentamos profundamente los inconvenientes y pedimos disculpas por su demora. Seguiremos informando en cuanto tengamos más novedades y avances. ALICE avanza, Pasqual nos ha enviado las 19 nuevas páginas que contiene el capítulo 3 (de 5). El autor no terminará la obra en octubre, como informamos en nuestra anterior actualización y él se comprometió. Recordamos que la responsabilidad del proyecto así como de su trabajo es del autor, también es quién tiene el compromiso con los patrocinadores. 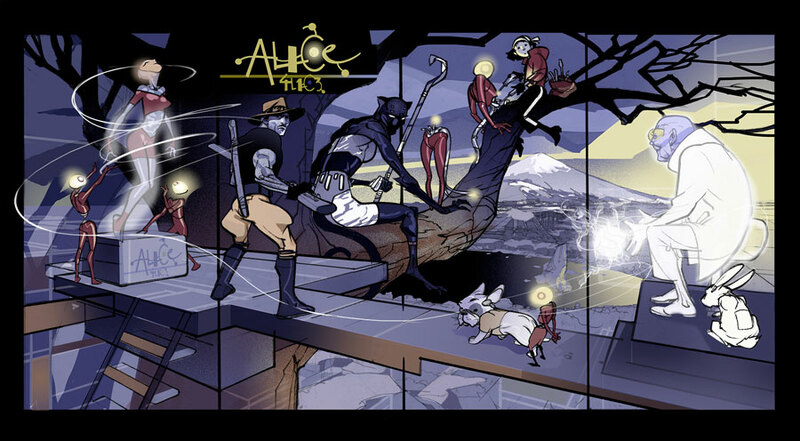 Spaceman Project da soporte a ALLICE, además de ser patrocinador mayoritario al haber completado la meta de la campaña (https://www.spacemanproject.com/es/blog/aportacion-de-spaceman-project-en-alice/173) para que la obra viera la luz. La editorial asumirá todos los costes de edición, traducción e impresión. Hasta que no recibamos el cómic termiando, no podremos empezar con nuestra labor editorial ni dar una fecha final de entrega. Las 120 páginas de que disponemos no son arte final, Pasqual nos pidió terminar todas antes de dar el color acabado y también que realizaremos el trabajo de revisar y corregir todas para dejarlas en el estado óptimo de diseño, este trabajo no estaba previsto desde el inicio pero ayudaremos al autor con todo lo que esté a nuestro alcance. Lamentamos profundamente esta situación, la demora constante del autor así como el incumplimiento de sus fechas de entrega. En nombre de Pasqual pedimos disculpas a todos sus patrocinadores y sentimos profundamente las molestias a quiénes creyeron en él y apoyaron la campaña. Si quieres ponerte en contacto con el autor, puedes escribir a contact@spacemanproject.com y le haremos llegar directamente tu mensaje. Seguiremos informando de los avances a medida que tengamos novedades. 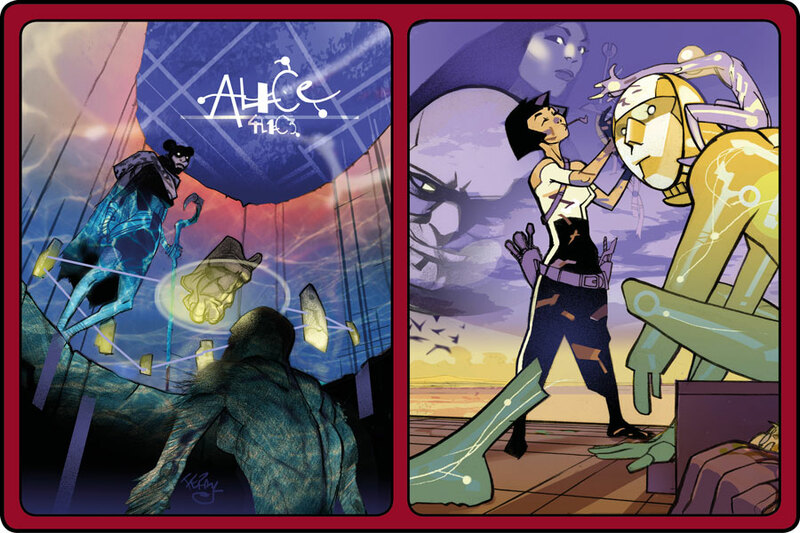 ALICE / Comunicado del autor. "El proyecto de AL1c3 continúa. Pero, por desgracia, se retrasa otra vez. No dudéis, lo voy a terminar. No pienso decepcionar a todos los que habéis puesto ilusión y confianza en mí y en esta historia. Hay motivos personales para la demora que no voy a detallar aquí debido a su indole. Tan solo diré que la vida me ha colocado al frente de muchas circunstancias con respecto mi salud que me han tenido colapsado, bloqueado y de las que me voy recuperando muy lentamente; pero que estoy a punto de dar por finiquitadas. Vuelvo desde ahora a las páginas de ésta historia que me acompaña desde hace más de 15 años, creedme si os digo que es una cuestión personal muy profunda e íntima terminarla. Primero que todo agradecer a Sandro, Spaceman Project, su apoyo y comprensión. Sigo disfrutando día a día de dibujar y de contar historias, cada vez más. Todo éste parón no ha hecho más que hacerme desear volver a la historia de los Cole, esa familia disfuncional imperfecta y maravillosa que se parece tanto a la mía aunque no se parezca en nada. Y AL1C3, esa chica cabezota, egoísta talentosa y perdida que me recuerda tanto a... Bueno, esa es otra historia. Continúo con mi trabajo, mil disculpas por haceros esperar tanto. Espero que cuando leáis el libro penséis "¡Ha valido la pena esperar! ", para mí el simple hecho de terminarla ya lo habrá hecho. Muchas gracias de nuevo por vuestra paciencia y comprensión. ALICE se mantiene en las 100 páginas creadas de un total de 200. Como informamos en la anterior actualización, este proyecto ha sufrido un parón por parte del autor (por motivos personales y de salud) desde septiembre/2017 y la fecha de entrega inicial ha sufrido dos aplazamientos por la parte creativa. 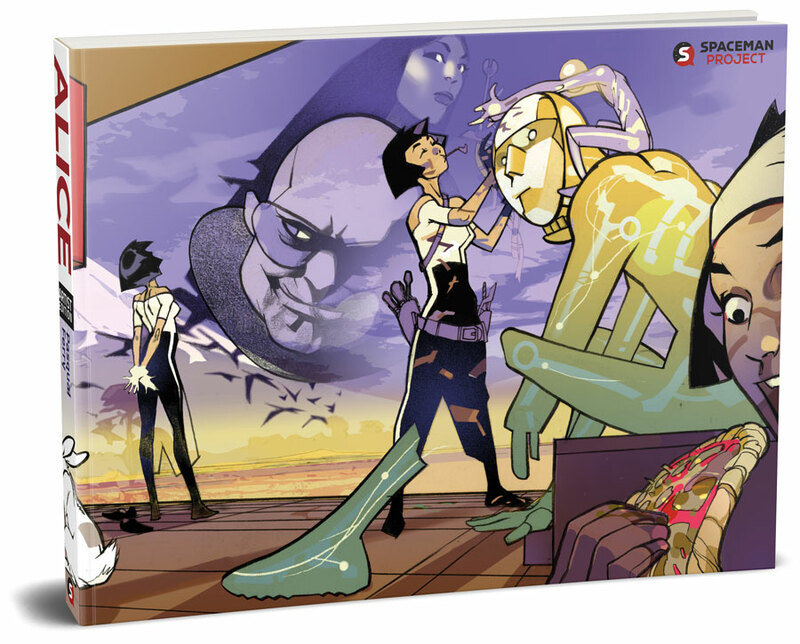 Pasqual Ferry nos solicitó, comprometiéndose, una tercera ampliación de su deadline para entregar todos los materiales el 30 de junio/2018. Nuevamente no va a ser posible para el autor cumplir esta entrega final. 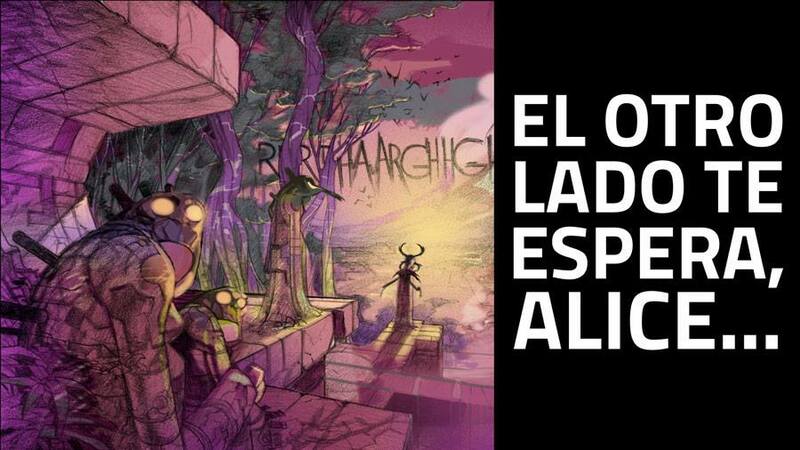 Esta semana nos reuniremos con él (ya que ha solicitado un nuevo deadline con más tiempo para terminar ALICE con una estimación de entrega por su parte para octubre/2018) y así valorar cómo le podemos ayudar a continuar con su trabajo. 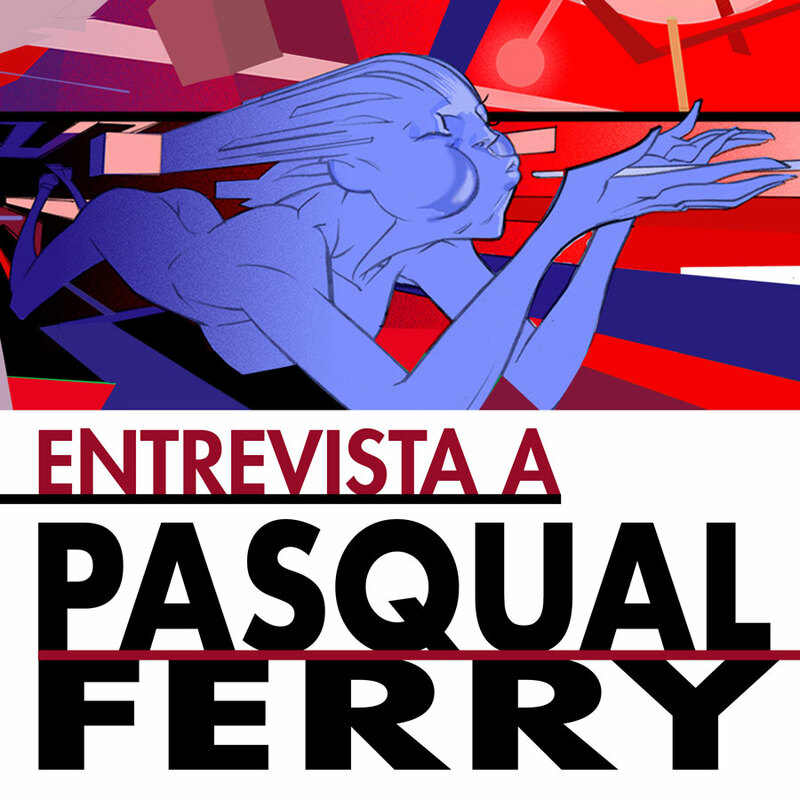 Pasqual Ferry realizará, personalmente, esta semana un comunicado para exponer y explicar su situación. Así como informar del estado de su proyecto a sus patrocinadores y los motivos de su demora. 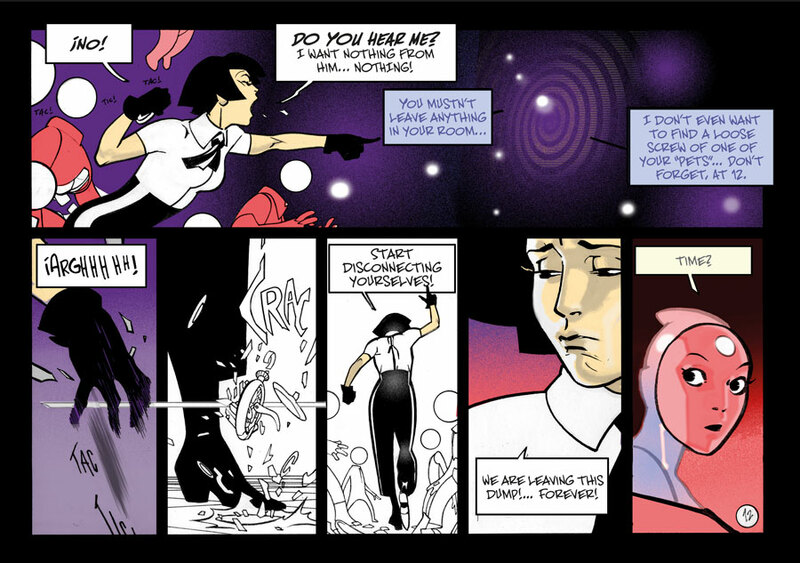 Spaceman Project da soporte al proyecto y hasta que no recibamos el cómic termiando, no podremos continuar con nuestra labor editorial ni dar una fecha final de entrega. Lamentamos profundamente esta situación y pedimos comprensión para el autor. 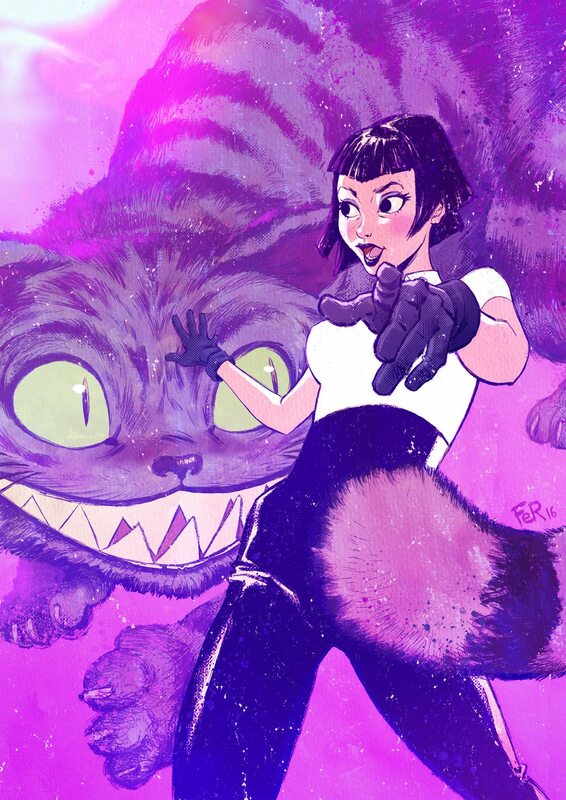 Esperamos que ALICE finalmente se convierta en realidad pronto, confiamos en Pasqual Ferry y su trabajo. Seguremos informando de los avances. ALICE se mantien en las 100 páginas creadas de un total de 200. Este proyecto ha sufrido un parón por parte del autor (por motivos personales y de salud) y la fecha de entrega está sufriendo una demora en la parte creativa. 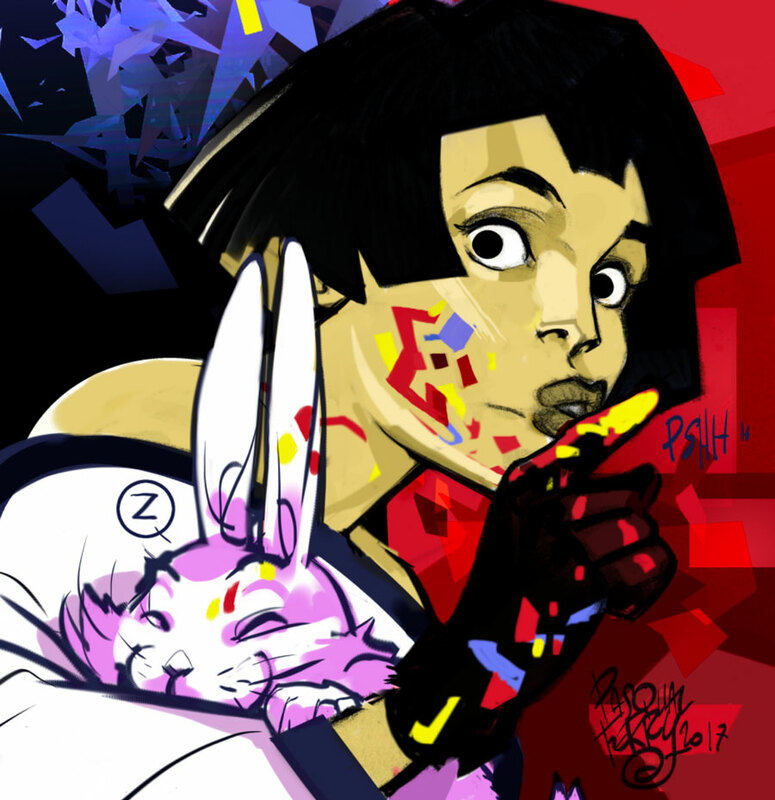 El autor nos ha solicitado una ampliación del su deadline, de modo que se compromete con los patrocinadores y Spaceman Project (como editorial e inversor en su proyecto) a terminar y entregar todas las páginas del cómic el 30 de junio/2018. Por este motivo tenemos que aplazar nuevamente la fecha de lanzamiento a octubre-noviembre de 2018, aproximadamente. 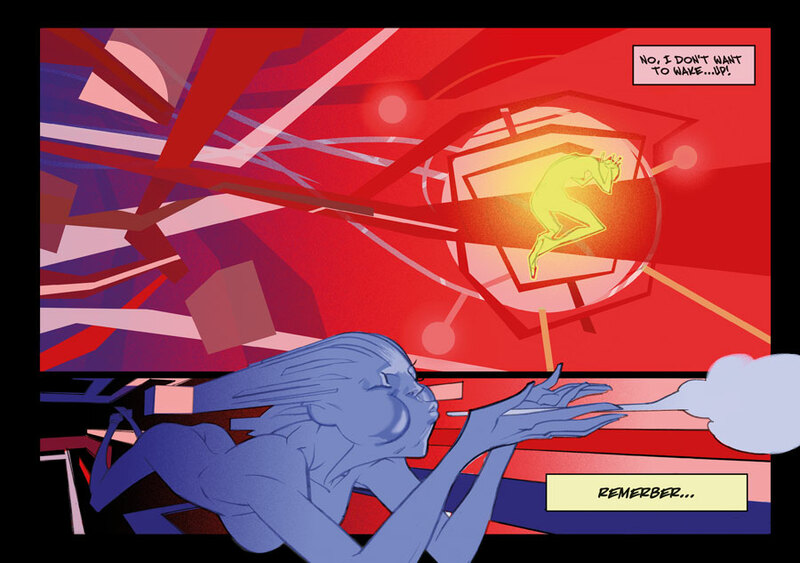 Lamentamos profundamente esta demora y esperamos que todo pueda volver a la normalidad en la parte creativa para poder realizar nuestro trabajo editorial y entregarte esta espectacular obra de Pasqual Ferry. 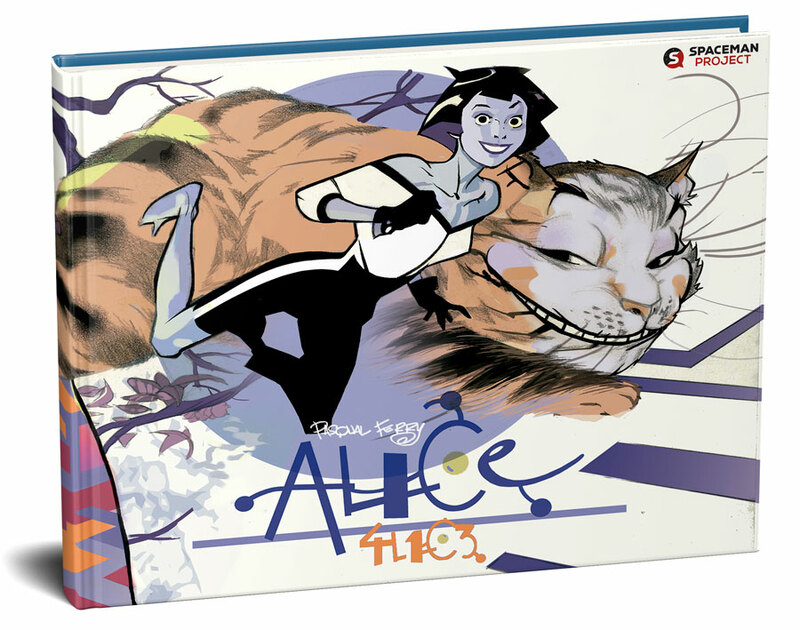 ALICE lleva creadas 100 páginas de cómic de 200 totales. Este proyecto está sufriendo una demora en la parte creativa por lo que tenemos que aplazar la fecha de lanzamiento a junio-julio de 2018, aproximadamente. 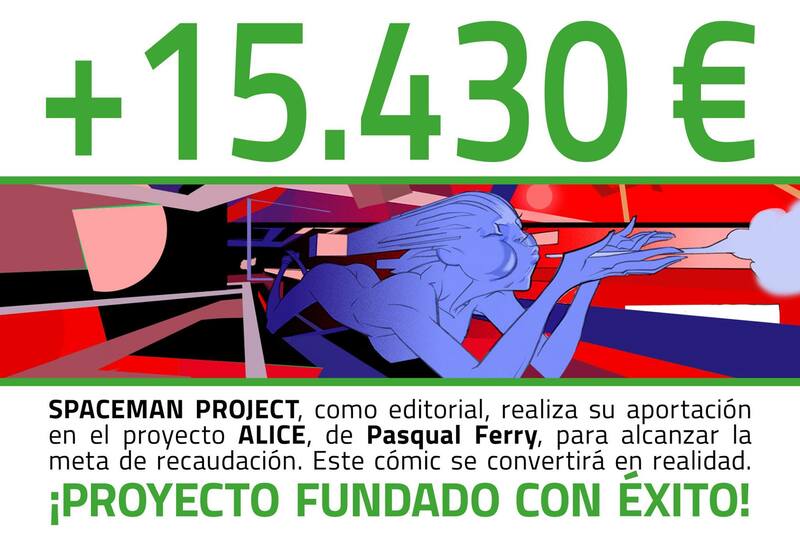 ¡APORTACIÓN DE SPACEMAN PROJECT EN ALICE! 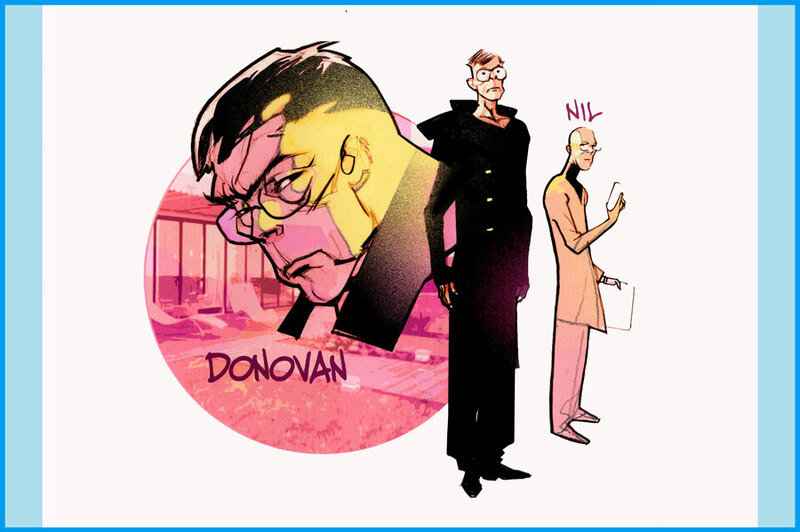 Durante toda la campaña el proyecto de Pasqual Ferry ha recibido muy buena acogida y desde la editorial creemos completamente en este cómic. Por eso, hacemos una aportación para completar la meta de campaña y así convertir en realidad esta maravillosa obra. 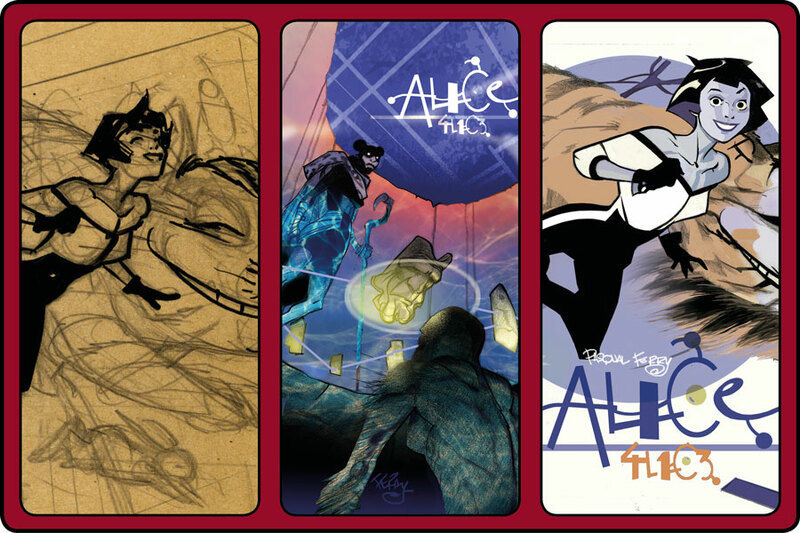 ¡Muchas gracias a todos los patrocinadores por creer en ALICE y patrocinarlo! NOTA: Estos premios solo se podrán otorgar si el proyecto llega a su meta. 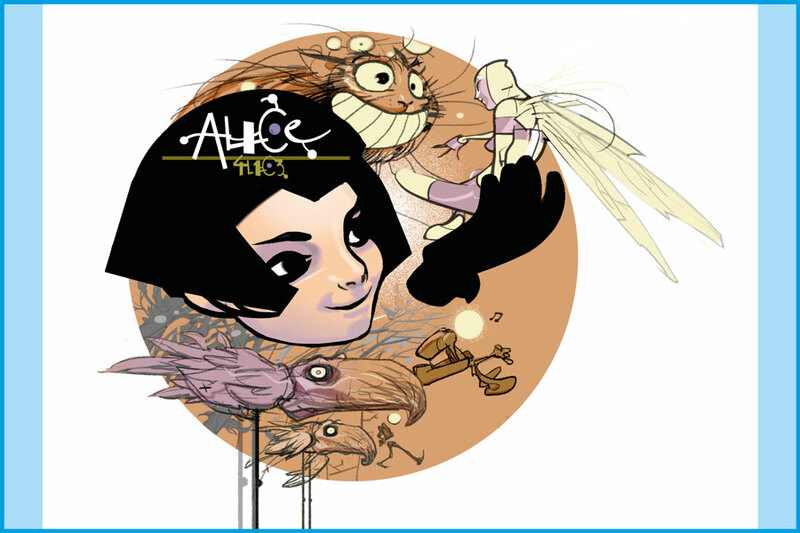 Pasqual Ferry nos descubre más sobre el mundo de ALICE y sus personajes. 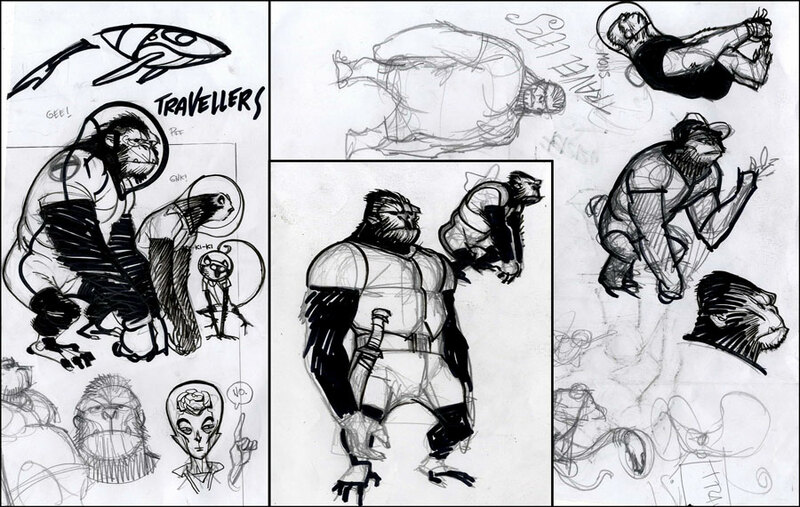 Para la ocasión nuestro gran autor abre las puertas de su estudio y nos muestra su proceso creativo a la hora de dibujar y dar forma a una ilustración. Con la voz de la experiencia, nos guía paso a paso por el camino de la creatividad mostrando su visión más personal. ¡No te pierdas esta oportunidad de ver trabajar a un maestro de las viñetas! 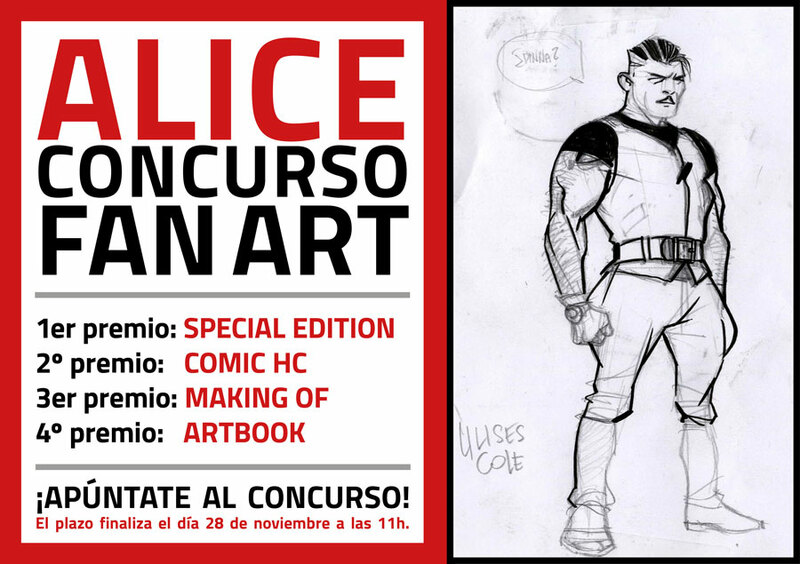 ¡APÚNTATE AL CONCURSO FAN ART DE ALICE! Para celebrar la buena acogida que está recibiendo ALICE, hemos pensado que una buena forma para hacerlo es montar un concurso y compartir nuestra alegría. 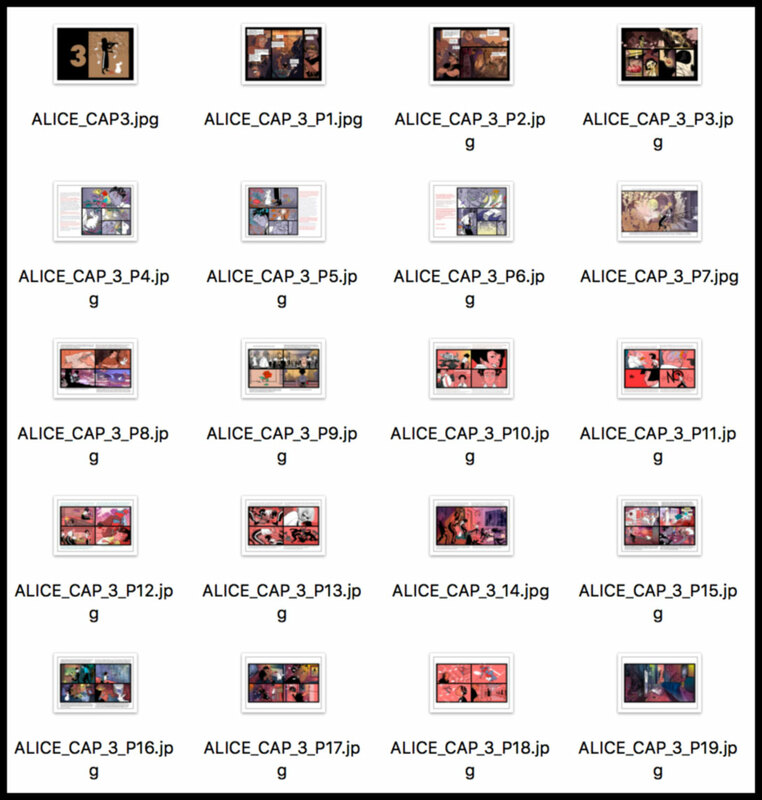 Nos encontramos a 7 días de finalizar de la campaña de recaudaciónn de ALICE y ya estamos más cerca de conseguir nuestra meta, ¿te apuntas? 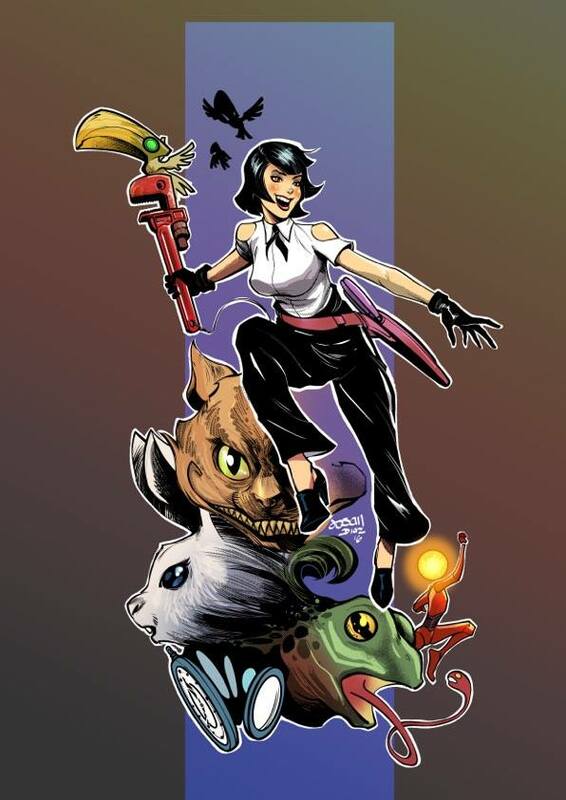 -Dibuja un Fan art de ALICE en formatos proporcionales de un A4. -Envíanos el archivo por e-mail (contact@spacemanproject.com) para poder valorarlo con la calidad que se merece. Desde el 21 de noviembre hasta el 28 de noviembre a las 11 horas. 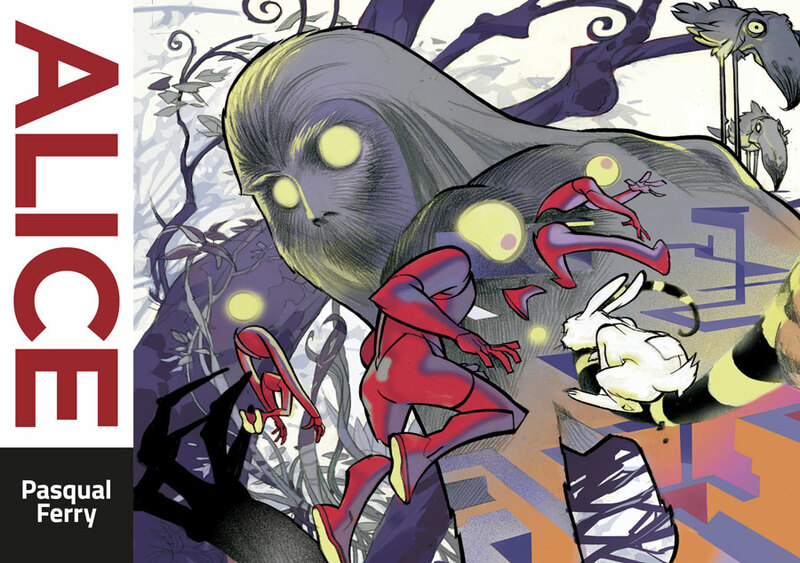 Entre Pasqual Ferry y Spaceman Project seleccionaremos los 4 premiados. Se tendrá en cuenta la técnica del dibujo y el valor narrativo. 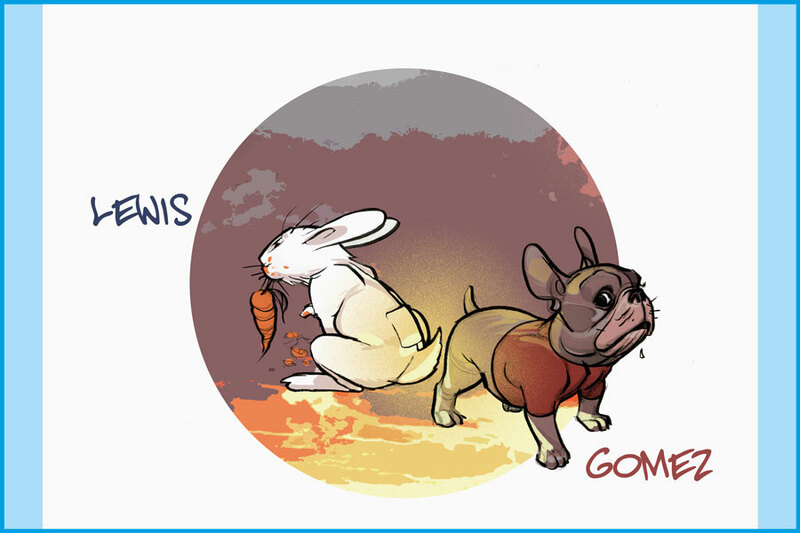 [Update] Character design "Lewis & Gomez" unlocked! 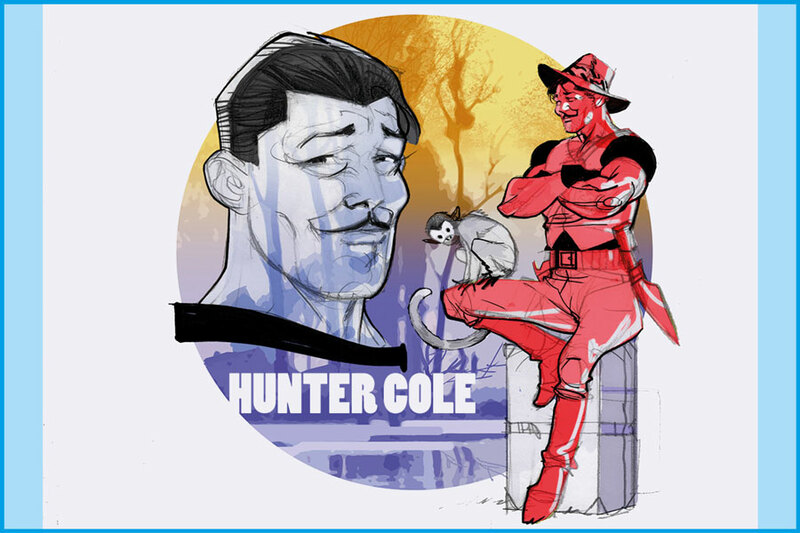 [Update] Character design "Hunter Cole" unlocked! 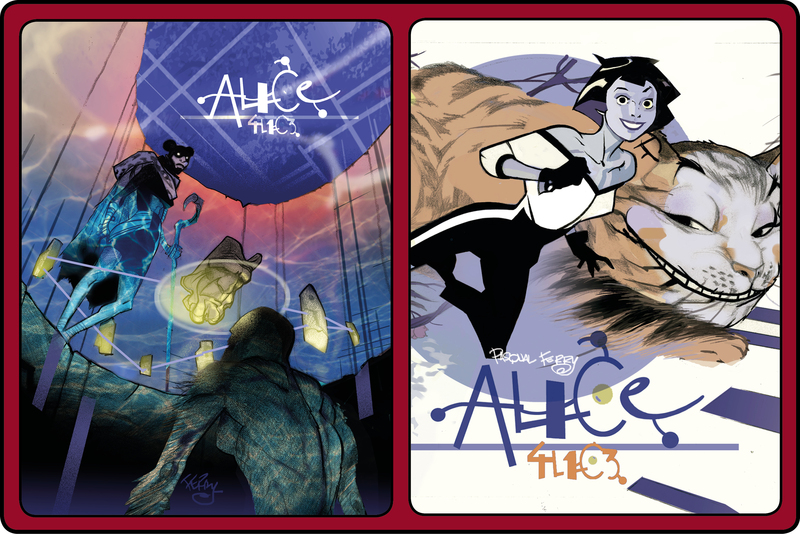 [Update] ALICE: Illustration by Pasqual Ferry. 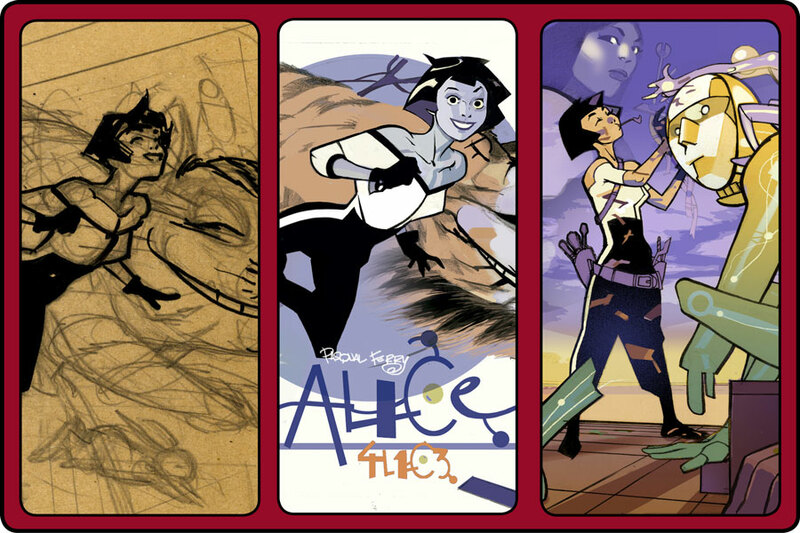 [Update] ALICE: Sketches by Pasqual Ferry. 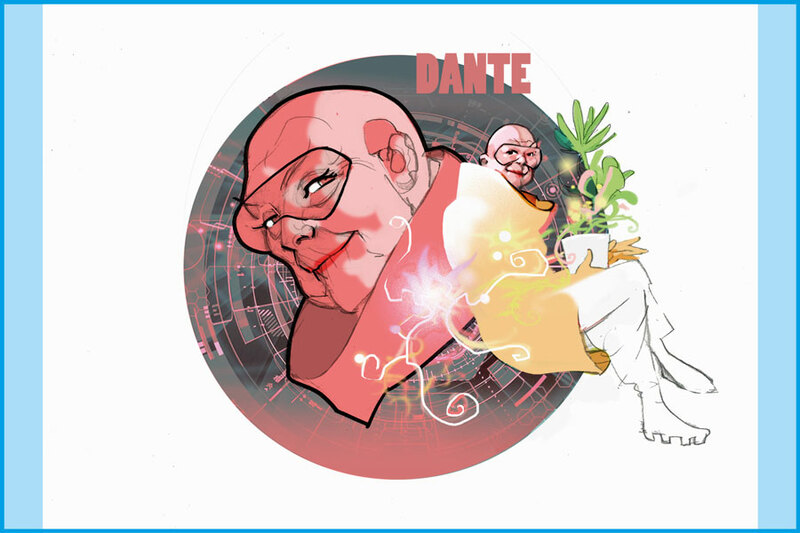 [Update] Character design "Dante" unlocked! 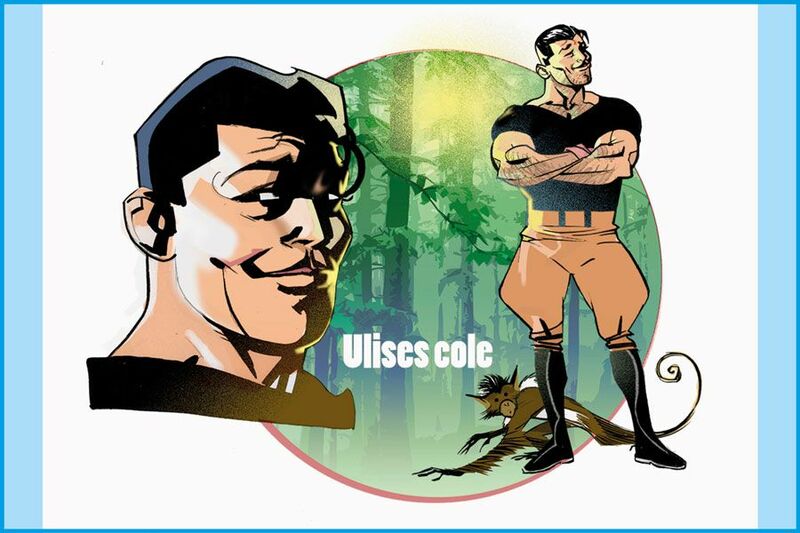 [Actualización] "EL OTRO LADO TE ESPERA, ALICE..."
[Update] Character design "Ulisses Cole" unlocked! "Me dedico a lo que me gusta. Contar historias. Soy una persona afortunada sin duda alguna. No solo por eso, creedme. Se me conoce por mi faceta como dibujante. Trabajé en un principio como humorista: El Jueves, Más Madera, Hdios O, Titanic, Pulgarcito, suplementos de periódicos, AVUI, El Periódico, TBO y por fin con Toutain quien me dio la oportunidad en la revista 1984, Zona 84, más tarde con Norma editorial; Cimoc, Cairo… MADRIZ como autor completo en historias más adultas en las que el misterio, los enigmas, lo simbólico... eran casi siempre los protagonistas. El libro OCTUBRE recopilado por Astiberri aglutina todas esas historias (incluidas las que quedaron a medias). Sin embargo esa etapa de producción propia duro poco. La crisis de las revistas en España acabó con la ilusión de que se podía vivir dibujando historias. Durante más de 25 años he sido y soy dibujante de superhéroes, género que adoro. Ya no como autor de mis propias a historias sino como dibujante. 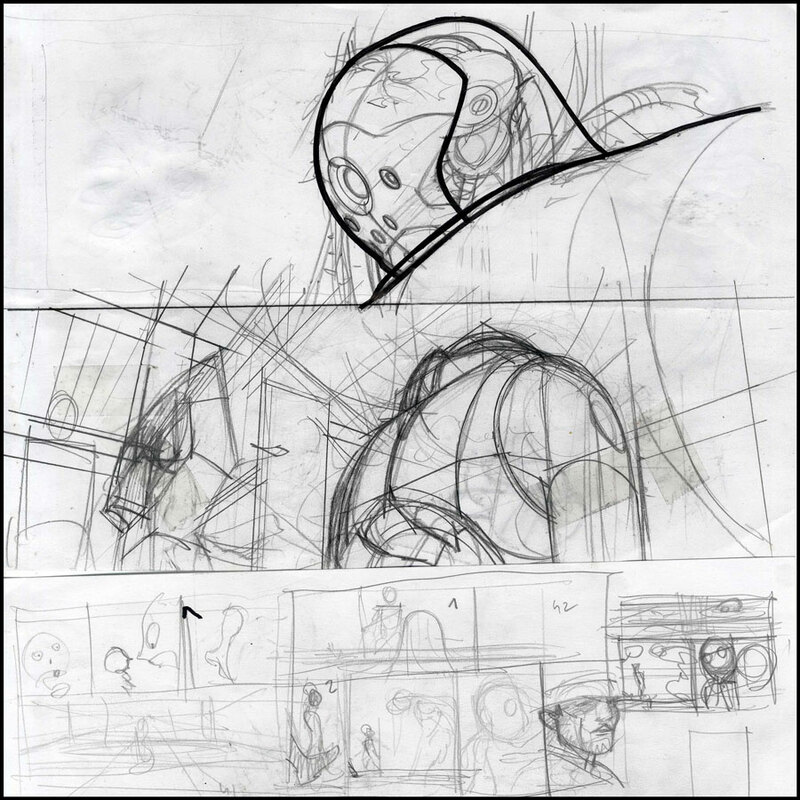 Allí me he formado como artista ,Heroes de alquiler, Warlock, Iron man, Fantastic Four ,THOR, Superman en DC, Superboy, Adam Strange, LA adaptación de EL JUEGO DE ENDER … la gran satisfacción personal de en algún momento haber dibujado casi TODOS los superhéroes que en mi juventud adoré y disfrute. Y sigo como ya dije, en ello. Aún disfrutando. Pero ahora sin contratos exclusivos por en medio. Una nueva etapa se abre en mí camino. El autor completo que soñaba con “contar/se“ historias, con disfrutar creándolas, viviéndolas, vuelve en el momento más especial de su/ mí vida personal. 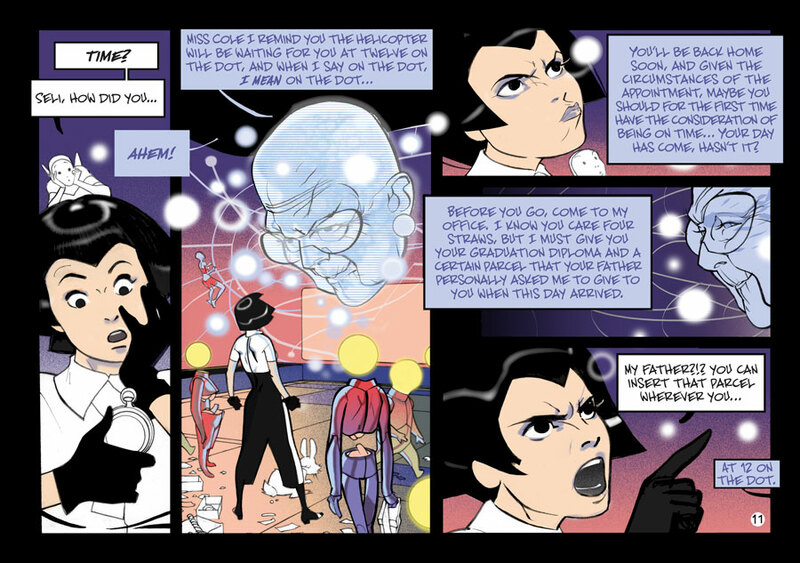 Tras Mister BULB , mí libro de haikus, Mi libro de terapia personal y El libro que me curó, ALICE es de nuevo una historia larga y compleja con 200 páginas de cómic pensado para ser disfrutado. Sí. misterio, enigmas, símbolos ocultos, giros inesperados, monstruos, robots, la jungla y…¿el amor? Bueno quizás no he madurado demasiado… Pero si me hice algo mayor como para no incluirlo en mí Historia".